The expertise and solid experience in producing steel bushes have enabled Sibo to add a new product range: cushion or shock-absorbing bushings. The cushion bushings are fitted inside hydraulic cylinders and “brake” the actual cylinder, avoiding sudden stopping and jerking movements of the machine. 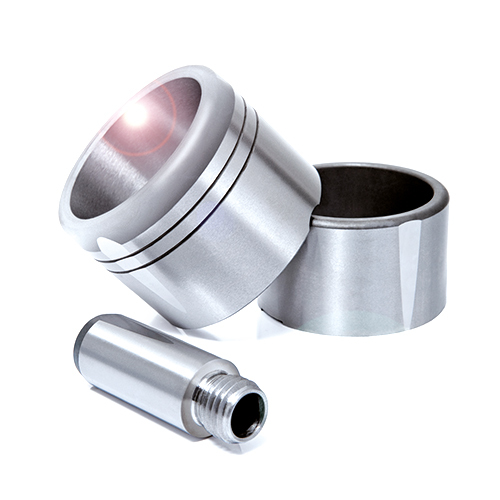 To produce these special bushings, Sibo uses special casehardened steel that avoids sudden breakages (crashing) and guarantees “precision” machining thanks to our highly specialized and innovative machinery. There is no real standard for this bush because the market is rather fragmented and there are different machining specifications. Sibo is able to meet any request and can perform inclined milling processes (flat, curved), front milling processes (square and curved) and grinding of planes, threading etc.